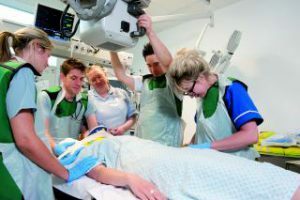 Skills for Health and the trailblazer group responsible for the development of the apprenticeship standard for diagnostic radiographers has launched a consultation to gather feedback on the draft standard. You can download the standard, which describes the duties, knowledge, skills and behaviours expected of a diagnostic radiographer apprentice by clicking here. The consultation is an opportunity for employers to ensure that the qualified apprentice diagnostic radiographer is able to meet the workforce requirements for the future. It may also be viewed by prospective apprentices choosing careers and so the language used within the standard needs to be easily understood. The questionnaire will take between 20-25 minutes to complete. The deadline for responses is 12pm on Thursday 21 June.